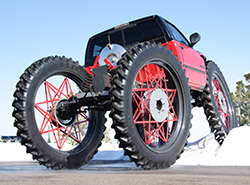 In the May 2007 issue of FF Journal, Rex Bailey's "Yeti" Monster Truck is featured. The article includes more details on how this truck was built and the role of the Samson® CNC plasma cutting system in the process. Click here to see more details on the "Yeti".